Newcastle owner Mike Ashley is set to prioritise tying Rafa Benitez to a new contract, after funding a club record £21m deal on Deadline Day for Miguel Almiron. The heavily criticised owner finally backed his manager in the transfer market, allowing Benitez to splash the cash on Almiron and break the club's 14-year transfer record - which previously stood at £16m. Now, renewing Benitez's contract is next on the agenda - with the Spaniard's existing deal set to expire this summer, having stalled on a previously offered five-year extension. The ​Daily Mail report that the deal for Almiron, who arrived from Atlanta United on Thursday, was sanctioned by Ashley after Benitez informed him that the 24-year-old was his number one target when the owner took the squad for dinner back in October. Newcastle's owner is said to be exploring the option of a three-year contract offer to tie Benitez to St James' Park for the next few seasons. However, the Magpies' manager wants guarantees over investment in the playing squad and improvements made to the training ground. 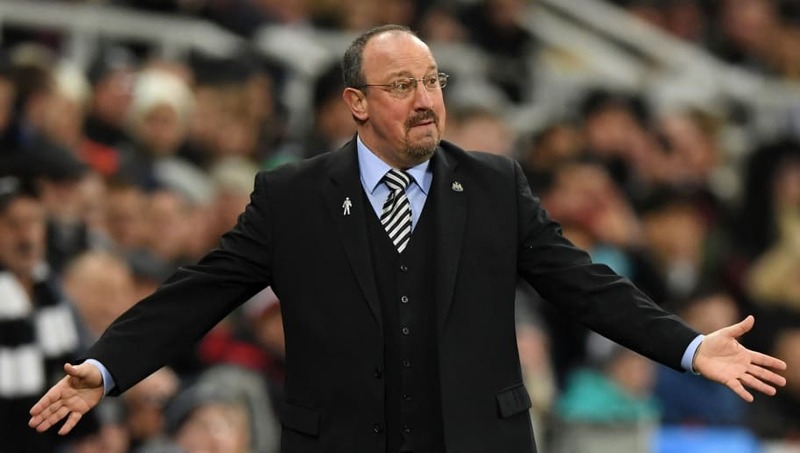 Interestingly enough, respected Spanish journalist Guillem Balague recently has claimed on his Twitter account that Benitez has rejected two lucrative offers from China and Saudi Arabia. Balague stated that the Premier League manager had previously been offered two £8.7m (per year) offers - coming to almost £170,000 a week - from foreign teams, stating: "I've heard that Rafa Benitez has been approached by one club in China and another in Saudi Arabia. "Both of them are willing to pay €10m net (£8.7million), per year, for two years. This was about two months ago and Benitez said no. He has a five-year deal on the table at Newcastle which he has not signed, yet. With Almiron arriving, he is happier, but he would like it to continue." Is Rafa Benitez headed out of Newcastle United? Here is more on that story and how it is developing. With just six months left of his contract at Newcastle, doubts are beginning to arise over the long-term future of Benitez. But it does seem as if Ashley is prepared to put in the effort to keep Beintez, having personally intervened in the Almiron deal - using his contacts in America to help get the deal over the line.